Absentee voting for soldiers began during the Civil War, and could be quite haphazard. Some states allowed absentee voting, while others did not. Some soldiers had to make their way to nearby towns and villages, which could be risky, while others could have a relative act as proxy or send their vote in by mail. The first legislation that guaranteed military members – including African Americans – a vote in presidential and congressional elections during wartime, regardless of registration and poll tax requirements. Congress passed the Federal Voting Assistance Act in 1955 to allow and assist military members, federal employees overseas and other U.S. citizens associated with the military to vote when they are living outside of their permanent voting precinct. More than two decades later, Congress passed another law expanding absentee voting rights to other U.S. citizens living overseas. In 1986, these two laws were combined to create the Uniformed Overseas Citizens Absentee Voting Act. This law is administered by the Defense Department, and ensures military members and their families, as well as U.S. citizens living outside the United States, have the right to register and vote in federal elections. It created the Federal Write-In Absence Ballot, a back-up ballot to be used when a state ballot doesn’t arrive on time, as long as the voter applied for it before the deadline. This ballot is available at U.S. military bases and embassies worldwide, as well as on the Federal Voting Assistance Program Website. A random survey after the 2004 election showed 73% of the military and 77% of federal employees overseas voted. This is a significant improvement over past figures, and appears to have continued to increase. 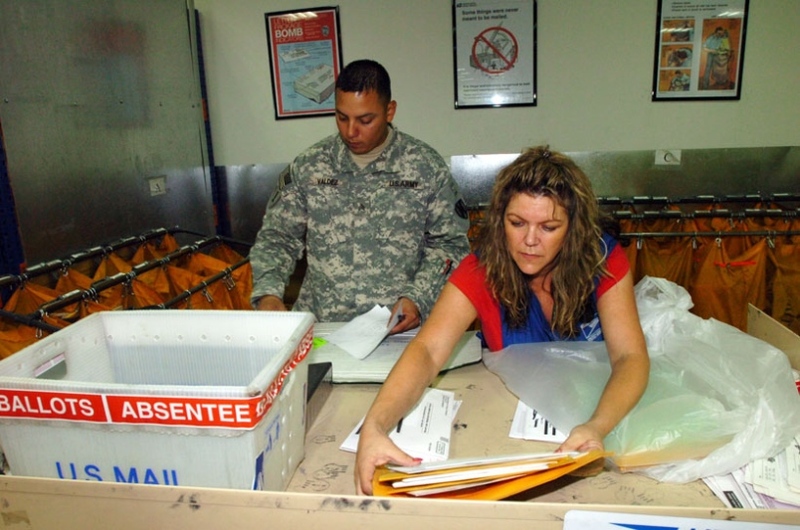 This is partly due to the increased ease with which both military members and U.S. citizens living overseas can vote by absentee ballot.